Since the announcement in September, the development team has been working on a browser Extension product that enables users to share in the value of ad buys by earning XCLR for ads they see while browsing the web. The Extension also opens up our supply side to a greater volume of inventory available for advertisers. During the current beta phase, the Extension is unlisted on the Chrome Web Store, but can installed from this direct link: ClearCoin Extension on the Chrome Web Store. 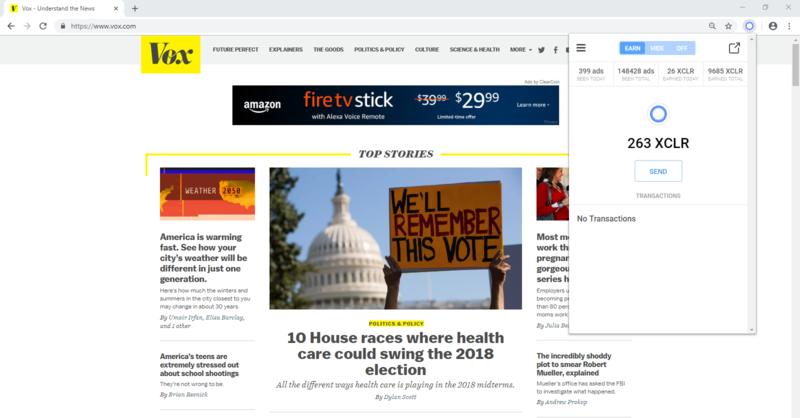 During this first beta phase, the only ads that will appear are from Amazon and they are delivered through our Platform ad serving technology. Ads are attributed on the top left with the text “Ads by ClearCoin”. In future phases, we will add a variety of advertisers so users will see ads from a larger group of adverisers. For simplicity of the beta, Amazon is the only one advertiser being used. The Extension causes an increase in ad supply which should result in an increase of ad buys from the demand side. As a result, the impact on the token ecosystem should be positive over time. The current rate for users is 66 XCLR earned per 1,000 ads seen. This is based on a 20% piece of a $0.50 CPM (cost per one thousand impressions). We intend there will be greater CPM’s in the future and the industry average is reported as $2.80 CPM. 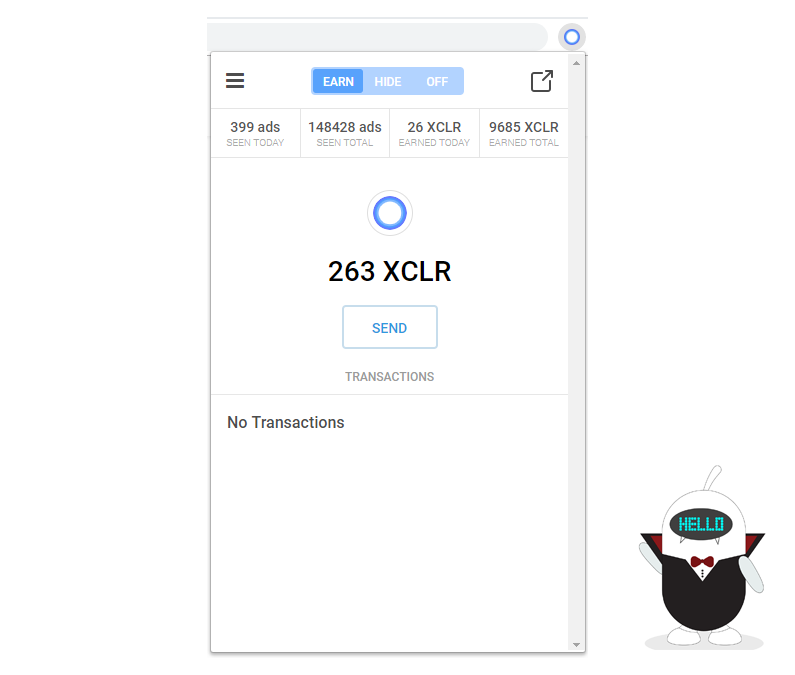 XCLR is sent to the wallet address in your Extension by the 15th and 30th of every month and it is required that the user has finished the KYC application with the Extension. The Extension limits users to earning for 100 ads seen per hour due to frequency caps by advertisers. In the future, this limit may increase. The wallet within the Extension is built from MetaMask technology, which is the industry standard for a browser Extension wallet. It is important to note the user must save their seed phrase for wallet recovery because a user’s account cannot be recovered by the company. As the system is decentralized, each wallet and seed phrase belongs to each individual user. We have previously written about the transition from a centralized wallet system to a decentralized wallet system. An example of an ad being served by ClearCoin while the Extension is running. The Extension works as an ad blocker first and replaces ads that can pay the user in XCLR. Other ad blockers should not be running while the ClearCoin Extension is running. For the full details on the background of this product launch please see the posts listed below. As always, please use the official support email help@clearcoin.co if you need help with the Extension beta or have any questions. Publishers who are interested in joining the publisher program for the Extension should also email help@clearcoin.co.